2013 marks the first year that the Women's Ultimate Frisbee Team has existed on USI's campus. 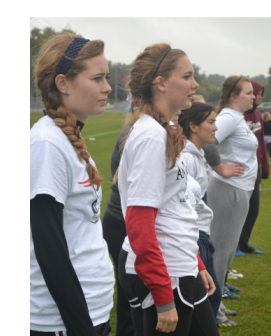 The women separated from the Men's Ultimate Frisbee team in the spring of 2013, creating the only female exclusive club sport on campus. However, that does not mean that this team lacks experience. Many of the older members played on the men's team before the split. This created a women's team accustomed to the speed and aggressiveness of a mixed gender game. Today, the team continues to change and grow. While in 2013 the women's team was lucky to bring seven players to a tournament, the team has now expanded to twenty.